South Pole. 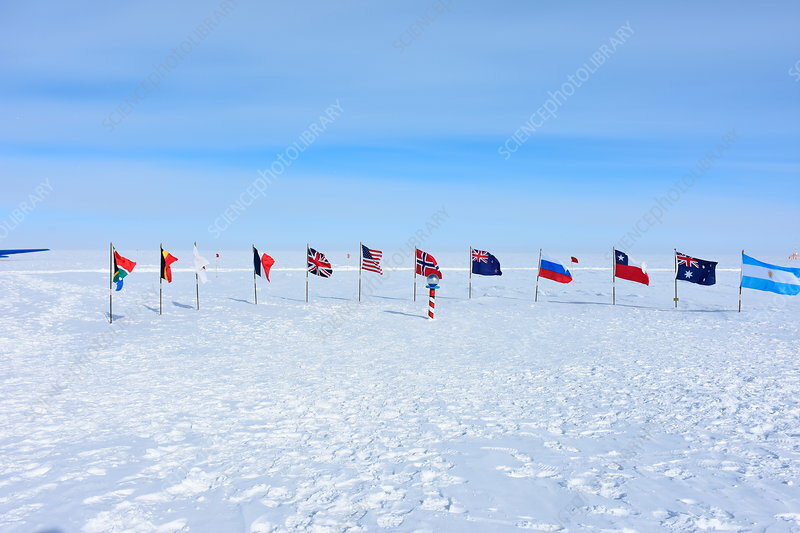 The striped pole topped by a reflective ball that marks the Ceremonial South Pole, surrounded by the flags of the 12 countries that were signatories to the original Antarctic Treaty of 1961. Because the ice cap at the South Pole is over 2000 metres deep and slowly shifting, the Ceremonial Pole is now about 200 metres from the Earth's actual pole of rotation, the Geographic South Pole. Photographed in November 2016.